How would you like $5000 towards travelling to other Great Wine Capitals to support your wine industry learning and/or career? Adelaide | South Australia: A Great Wine Capital is offering 5 lucky recipients a $5,000 bursary each to support them in travelling to and learning from one or more Great Wine Capitals. Whether you want to learn about wine making, viticulture, Agtech, innovation, biosecurity practices or Research and Development, marketing, regional development, or any other area related to your work or study in the wine industry, these bursaries will support our wine industry’s learning and knowledge exchange. This program is proudly supported by the South Australian Wine Industry Development Scheme. Applications open on 2 April 2019 and close at 5.00 pm on Monday 22 April 2019.
any element relating to the wine industry - including, but not limited to, wine making, viticulture, Agtech, innovation, biosecurity practices or research and development. unrelated travel for personal purposes. Outline your personal and professional attributes. What you would do with your Great Wine Capitals Knowledge Exchange Bursary (this should include a travel outline indicating costs - if your travel amounts to greater than AU$5000, you need to indicate how this will be funded, e.g. personally or from your employer). What you expect to learn/gain as a result of your travel. Your CV and a letter of support from your employer (if applicable). Please ensure you have this information prepared prior to starting the online application form. You are required to complete the form, once it has been started. a letter of support from your employer that you are able to take the time to travel (and whether your employer is providing you with additional financial support). 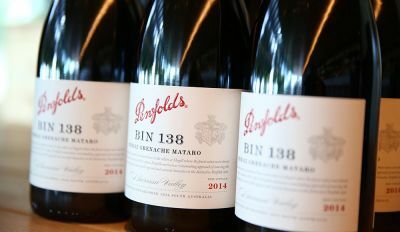 Bursaries will be awarded on merit, although the panel will consider ensuring a mix of industry interest areas and across South Australian wine regions. Bursaries are only available to South Australian industry participants. All travel arrangements must be undertaken by the bursary recipient, including passports, visa, flights, accommodation, and travel insurance. 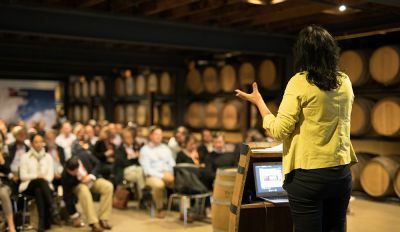 The South Australian Great Wine Capitals Local Coordinator can assist with providing email introductions to businesses or organisations via our Network partners – however the bursary recipient responsible for making all arrangements for meetings or visits. Bursary payment will be made to successful recipients before 30 June 2019 for travel before 31 December 2019. You can use your own additional funds in addition to the bursary. Travel must occur before 31 December 2019. Make themselves available to give a presentation at a future event (TBC), on their travel supported by the bursary, highlighting learnings and outcomes. Please note that employees of the Adelaide Great Wine Capitals partner organisations (PIRSA, SATC, SAWIA and Brand South Australia) are not eligible to apply. 2 April 2019 - Applications open. 22 April - Applications close. April to May - Panel assesses applications. By 6 May - Successful recipients informed. We want to confirm where you’re going and what you’re doing while you’re there - based on what you told us in your application. 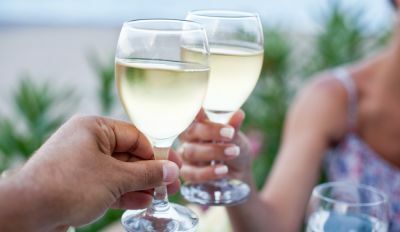 We can support you with making connections in other Great Wine Capitals if you wish, but you will need to confirm your arrangements quickly. By 30 June - Bursary provided to recipients (once travel arrangements confirmed to the satisfaction of the panel). 18 May to 31 December - Travel period. Before 31 December - Written report and blog due. To be confirmed - Present to industry on your learnings.